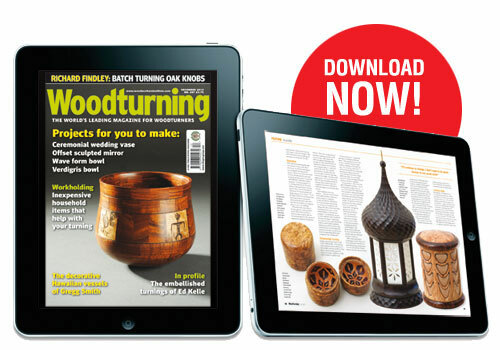 Fancy saving 42% on subscription prices and downloading Woodturning magazine to your iPhone, iPad or tablet? Woodturning, the world's best-selling magazine for woodturners, is read by turning enthusiasts in over 60 countries worldwide. It is is packed with easy to follow practical projects, and essential advice for both the hobby woodturner and the professional. Every issue includes features on turners around the world, plus well-illustrated techniques, news, reader feedback, detailed tests and reviews. Woodturning excels at appealing to the club community of its readers and actively encourages reader participation in its pages. Download your copy or multiple copies here or why not purchase a subscription?